AlgaEnergy synergizes technology and the natural lifecycle of algae to mitigate carbon emissions while providing natural energy, fuel, edible products, and environmental awareness developed by new startup companies. Algae has the capability to absorb a large portion of carbon emissions, provide substantial amounts of oxygen, and be transformed into an alternative source of energy through biofuel. 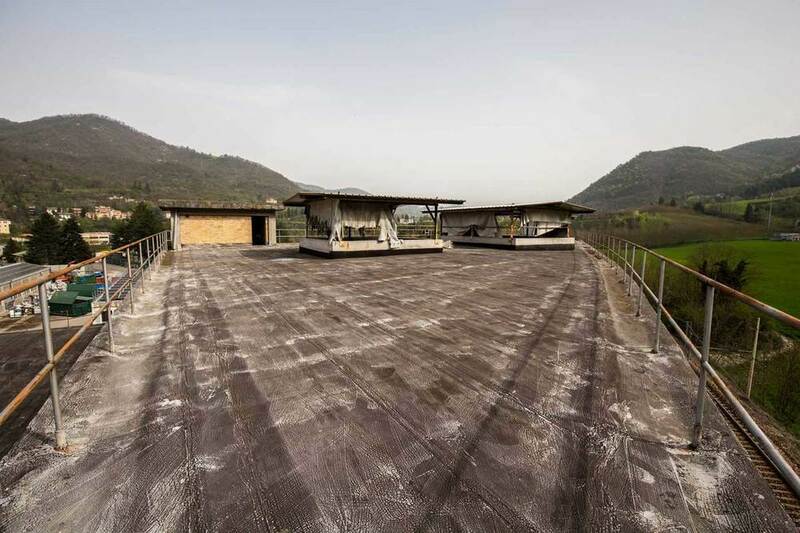 Being located adjacent to the A1 highway, a major transportation route in Italy, the algae cultivation area on the rooftop of the building will become a carbon dioxide sequestration. Byproducts of bio-processing algae are hydrogen which is turned into energy through hydrogen fuel cells, biomass which is turned into food and pharmaceutical products, and biofuel which will be distilled into jet fuel. New businesses will be able to investigate the potential opportunities of these byproducts and expand upon research in algae. - Hydrogen fuel cells will provide energy for the entire building as well as the adjacent communities. - Biomass will be the focal point of research for startup businesses. - AlgaEnergy is not only an algae production facility, it’s also a museum that displays the entire cycle of bio-processing to the public. - Algae bio-processing machinery is designed to be safe, family friendly, and open for public viewing. 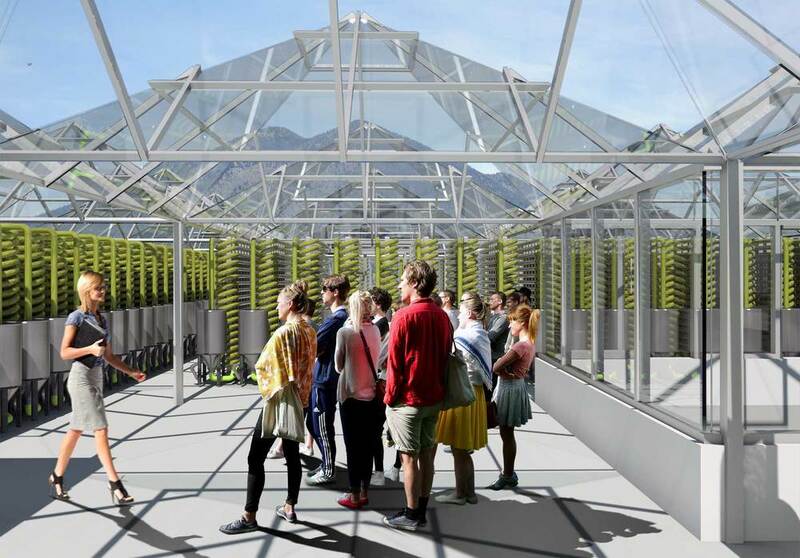 - Tour guides will bring people through the building from algae cultivation on the rooftop to biofuel refinement in the production wing. - Employees are provided with a variation of work zone intensities that range from lively open collaboration to quiet individual workstations. - Biomass research and products for healthy living will be developed and distributed throughout AlgaEnergy’s gift shop and cafe. AlgaEnergy was designed as a response to the Young Architects Competitions call for entries entitled “Green Academy”. 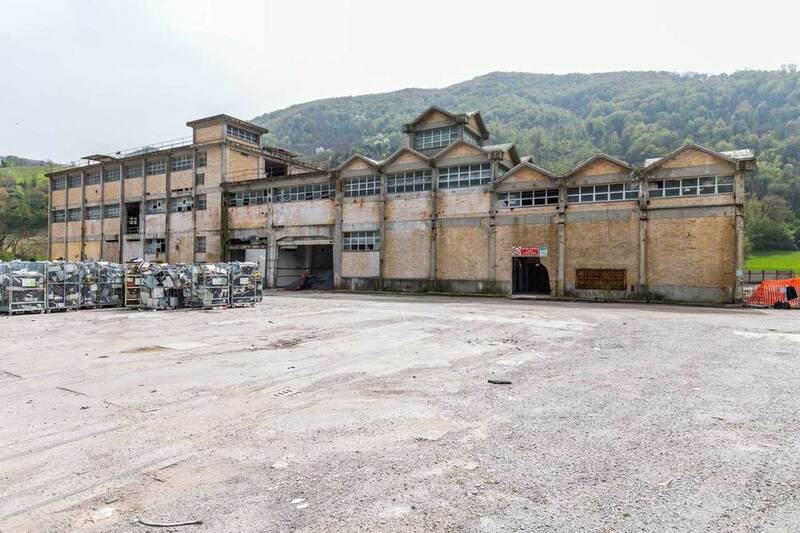 This competition asked participants to renovate an existing industrial building that was once a paper factory in Marzabotto, Italy. The building and the complex in which it resides is owned and operated by a company called DISMECO. This company has renovated many of the buildings and is currently using them to recycle complex waste. DISMECO owns the abandoned paper factory that is roughly 54,000 square feet and aims at designing its own didactic center to become the most acknowledged international reference in research, training, and development of sustainable disciplines. Participants were asked to renovate the building into an experiential center for children and a business incubator for environmentally friendly start-ups. Costs and value engineering had to be considered throughout the design of the project. In addition, the design will include private areas for employees and public areas to show equipment and technologies to visitors. Innovative technological equipment should be exhibited to the public and become a teaching tool that enables students to deepen their knowledge in the issues related to recovery, sustainability, and recycling. In essence, participants had to renovate an existing industrial building and transform it into a learning center that embodies and teaches technological innovations in sustainability. 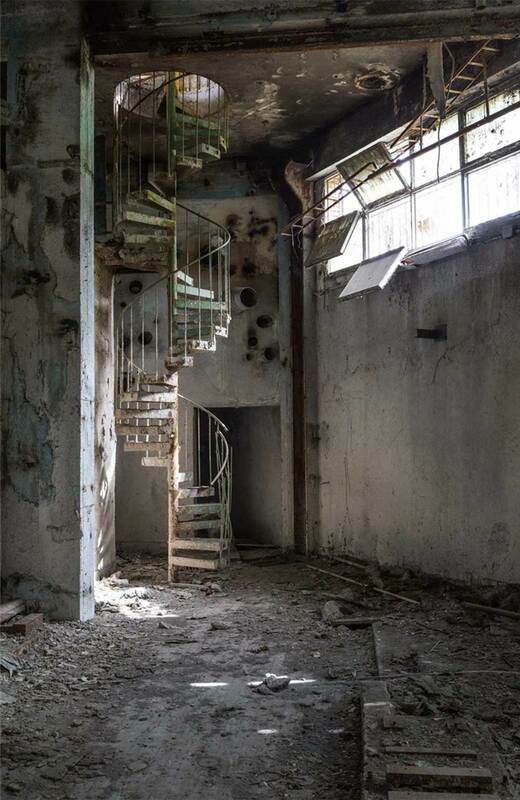 The former paper factory of Marzabotto is situated at the foot of Monte Sole historical park and was designed by Pier Luigi Nervi. This paper factory’s design expresses the structural elements on the exterior and uses it to outline vast and bright spaces within the building. It’s surrounded by a natural backdrop of green fields and mountains. Since 2011, a portion of the plant has been owned by DISMECO and the main shares are owned by Bologna business people. The building is situated a few kilometers from the A1 highway, which connects Bologna to Florence. This means that the building is perfectly connected to one of the main traffic arteries of the national network. The proximity of the train station where the Porrettana rail line stops is adjacent to the site. These transportation systems connect the center to 9 million users every hour. Currently, the old paper factory is structurally intact with all of its main columns, beams, and floor plates in good condition. 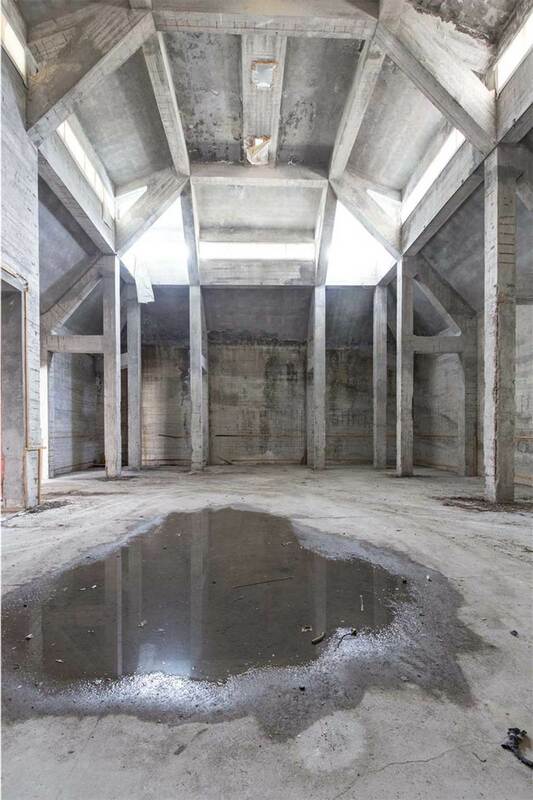 There are areas where the concrete columns and beams are chipped, but visually, there aren’t any issues with the building’s primary structure. Constructed above the exterior concrete beams are orange colored bricks with column to column windows that allows light to enter the building. Inside of the building, the volume of every space changes from 1 story, to 2 stories, and in some cases, 3 to 4 stories. Within the concrete structure on the southwest of the building, there’s a beautiful space that fills with natural light from the clerestory windows. Closer to the east side of the building within the triangular volume, there’s a steel spiral staircase that used to bring visitors to the second floor. Throughout all of the floors of the larger volume of the building are voids that are offset from floor to floor. These voids are large and allow light, air, and sound to travel between every floor. These voids are also on the rooftops of the building and are only protected from the environment by a metal canopy. Otherwise, the voids are open and allows some natural light and lots of passive ventilation to enter the building. There are also areas where these voids are vertically aligned and stacked between a few floors. During the initial meeting, we went over the design brief and discussed the main ideas that were mentioned in each section. As we were discussing these ideas, we noticed repetition of specific points in the design brief and started brainstorming design ideas around these issues. One main idea that was repeated in every section was that the building should be renovated into a didactic center that is acknowledged internationally in research, training, and development of sustainable disciplines. Another idea was that the design should showcase all of the innovative technologies to the public and provide an experiential tour for students to learn about sustainability and recycling. As we started brainstorming ideas around sustainability, recycling, research, and green start-up companies, we came up with several simple ideas. The first idea was renovating the facility into a solar panel manufacturing plant as well as a solar farm. As we refined this idea, we speculated on possible locations of the solar panels and knew that they would most likely be placed on the existing rooftops. Then, we thought about the future of solar panels and discovered several companies with emerging technologies that allowed solar panels to be embedded within windows and curtain wall systems. This led to a new idea of using the embedded photovoltaic cells for the roof of the greenhouse to generate energy while also providing sunlight for a garden. This idea of renovating the building into a solar panel manufacturing facility would’ve worked for our design, but it was lacking an innovative approach that tied together the businesses, researchers, education, and recycling. 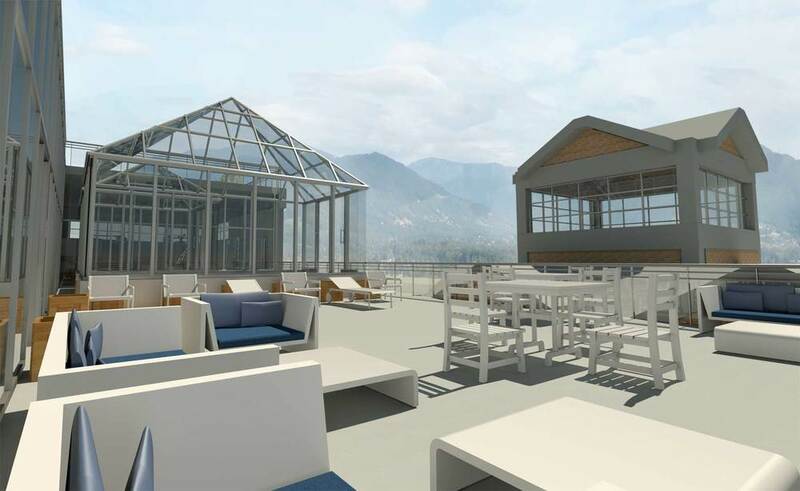 So we continued to brainstorm and expanded on the idea of having greenhouse on the rooftop. At some point in our open discussion, algae emerged as a possible plant to cultivate for energy production and we immediately began to speculate on its relationship to the main design issues. As we explored the idea of cultivating algae and refining it into energy, we embarked on our journey to research the processes of efficiently growing algae, generating energy, and turning it into biofuel. From this research phase, we discovered that algae could be efficiently and safely cultivated in a system called the closed loop tubular photobioreactor. This is essentially a series of clear PVC tubes that pumps water and algae around. This allows all of the algae to be constantly exposed to sunlight, which allows the algae to photosynthesize. After the algae are grown in the closed loop tubular photobioreactor, it’s pumped to an oil expeller machine. At this point, the algae are slurries of solids, water, and lipids, which are ruptured by a screw press and separated into dry biomass and oil lipids. Once the biomass and oil lipids are separated, the oil is pumped into a gravity sedimentation tank where it’s left to settle for further separation of biomass, lipids, and water. When the separation is complete, the water could be reused and pumped back into the closed loop tubular photobioreactor. The biomass is collected in containers and the oil lipids are pumped into several machines that make up the transesterification process. During this process, the oil lipids are mixed with a base catalyst and ethanol to create glycerol and biodiesel. Glycerol is an adhesive substance that is used in cosmetic products and biodiesel (referred to as biofuel in this article) could be used as fuel for vehicles. As we concluded our research on the process of cultivating and refining algae, we went back to brainstorming design ideas for the Marzabotto paper factory renovations. We reviewed the programmatic requirements of the project along with our idea of algae as an energy producer and realized that the two ideas would allow researchers and start-up businesses to create and sell algae based products. One of the byproducts of algae is biofuel, which could generate energy through combustion. Biofuel could potentially be used in vehicles such as cars, boats, and airplanes. This particular byproduct of algae refinement will be explored by researchers and green start-up companies in the renovated building. Another byproduct of algae is biomass, which could be used to make edible foods, soaps, supplement pills, and many more products. Researchers and green start-up companies will develop products that use the biomass and the products will be sold in the gift shop and café. A third byproduct of algae is glycerol, which is an adhesive substance used in cosmetic products and foods. Researchers and green start-up companies could use this byproduct to create products that will be sold in the gift shop, café, and to distributors worldwide. Lastly, after the sun sets and the algae’s photosynthesis process stops, there will be a high production of hydrogen, which will be pushed into several hydrogen fuel cells and converted into energy for the building and the adjacent town. By combining these byproducts of bioprocessing algae, we’re able to generate carbon free energy for the building, store excess energy to be shared with the adjacent town, and be the focus of research agencies and green startup businesses in the incubator spaces of the building. This comprehensive design concept synergizes the various programs and places the Marzabotto paper factory (AlgaEnergy) at the forefront of algae research and products. Upon entering AlgaEnergy, one is welcomed by staff members in the ticket booth and directed to waiting areas for public tours to begin. Startup businesses, researchers, and other staff members are allowed to enter and move freely throughout the building using their identification tags to enter the elevator lobby. While waiting for the tours to begin, one has access to the public café, which serves a variety of foods including new entrees and snacks with algae as a main ingredient. One also has access to the gift shop, which sells AlgaEnergy branded products including products made from the byproducts of algae such as supplements, snacks, and cosmetics. On the opposite side of the building is an exhibition room that displays and teaches visitors about the various algae bioprocessing machinery and a refinery room where visitors are able to observe the algae refining machinery at work. This area is secured throughout the day and visitors are only able to access the exhibition and refinery on their guided tour of the facility. Once the tour begins on the ground floor, visitors are brought beyond the security entry to the elevator lobby and brought to the fourth floor of the building where they immediately see a green outdoor space on the roof of the building. The tour guide leads the group out of the elevator waiting area and into the algae cultivation space. In the algae cultivation space, visitors are able to see all of the closed loop tubular photobioreactors pumping and growing algae. If one were to look up at the operable glass roof system, one would think that it’s simply insulated glass. However, while inspecting the glass closely, one will barely notice the embedded photovoltaic cells that allow the entire roof system to generate energy and store it in the batteries on the ground floor. While touring the space, visitors will also see the existing voids in the rooftop that are now capped by vertical operable glazing that allows the spaces below to use the heat from the thermally buffered algae cultivator room in the winter. During the warmer days in the spring and summer, the photovoltaic embedded rooftop and the glazing enclosing the voids opens to allow stack ventilation through all floors. After the visitors learn about the process of cultivating algae on the fourth floor, the tour guide brings everyone down to the third floor. Here, they’re given a tour of the research and startup business’s informal work spaces. There’s also a large area dedicated to individual and quiet work that use the Brody Chair by Steelcase with varying levels of privacy. Tour guides also bring visitors to the outdoor work spaces and briefly walk them through the full gym for employees of AlgaEnergy. 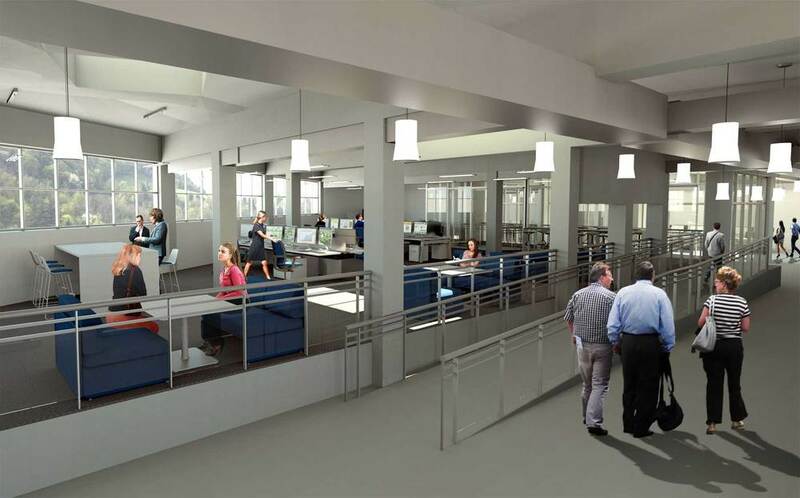 When visitors are done with their tour of the third floor, the tour guide will bring the group down to the second floor where they will see a training area for new researchers and startup employees to collaborate. Beyond this area is the auditorium that is used for distinguished speakers who will be invited to present their work and accomplishments to researchers, startup businesses, and the public. Adjacent to the Auditorium is an operable curtain wall partition that opens the second to the first floor café area through the existing large voids in the floor plate. This allows stack ventilation to occur on the second floor and it also creates a lively atmosphere where employees are able to collaborate without worrying about the noise. Smells from the café will also remind everyone that it’s breakfast or lunch time. Moving pass the glass partition, one immediately sees the open workspaces for startup businesses that is raised above the floor level and is accessed through a ramp. This open space allows employees to collaborate and change their work environment by moving from their desk to bar height tables or adjustable couches. When employees need to take a break or get some fresh air, there is an outdoor patio space that has comfortable furniture and is protected from the rain. At the very end of the corridor is a large meeting room that could be reserved and used by both researchers and startup businesses. After the visitors have walked through the open work spaces, they’re brought back down to the first floor and into the algae exhibition room that displays all of the machinery in the building with explanations of how each component works. From this room, visitors are able to get a better understanding of the bioprocessing of algae and are brought into the refinery space. In the algae refinery, visitors are able to observe and experience the algae refining machines working to separate biofuel, biomass, and water from the algae. The machines were designed to be safe for children and include features such as an aquarium grade glass in the gravity sedimentation tank and glass railings to protect everyone from moving parts. AlgaEnergy brings together researchers and green startup businesses to explore the possibilities of algae as a resource for energy and health products. Through this renovation of the Marzabotto paper factory, the historic aesthetic and manufacturing program is maintained and provides a world class research and business incubating facility that attracts visitors from all over the world.